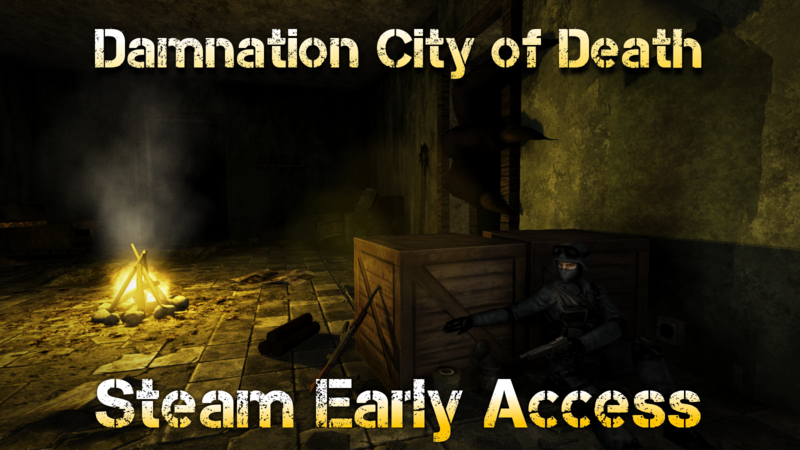 Damnation City of Death is coming to Steam Early Access! Damnation City of Death is getting various updates to improve the experience and to be in a state that you would expect from a game coming to Steam. We are switching to Unity PRO, so we can use all the features that the engine provides. We have added localization options for Finnish, Swedish and Russian. We are continuing to add more. The Whole in-game User Interface has been remade with updated graphics and systems. 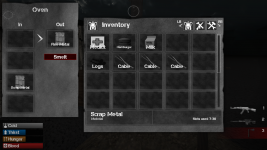 The inventory, equipment and crafting screens now allow easy switching between them. The player HUD has been remade to be more simple and clear to the player. 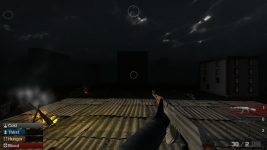 The next update now includes 5 new guns: Beretta 92, Glock 17, HK45, P250 and Makarov. Crafting is now more in-depth with smelting items. New smelted items can be used to make new things like better walls. 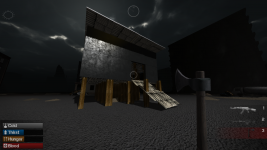 We’ve updated the game with a new atmospheric fog and shaders like SSAO to bring the game’s mood to life. Birds have been added to the sky to bring more life to the city. These changes increase the look of the game. Partial controller support has been added, but is still in progress. You can’t navigate menus with it yet, but you can control your player with it. We have made our own Master Server for the game to provide stable and unbroken multiplayer experience. The old Master Server can be down for days sometimes, which is not ideal for our game. That’s why we now provide our own server solution to provide continuous service for our players. Added Steam Achievements. Achievements like Exterminator, Hunter, God of War, Veteran and Assassin are now in the game. 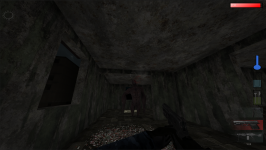 Updated Zombie & Monster AI. They now find their way up better than before in player bases that have many floors. AI also is now more optimized on longer ranges. Encrypted stats to prevent hacking. Before you could change your stats like experience and kills with hacking, but now they have been blocked from such attempts. Added crouching. Crouching allows sneaking, which is good for avoiding enemies and surprising normal zombies from behind with a melee weapon. Added server password & player limit to be adjustable in saved games, so players don’t have to start a new server to have different settings.